The HOLES IN THE WALL COLLECTIVE Creative Residency Program, has curated and produced dynamic programming for creatives of all kinds, spanning disciplines and identities. From our Open Residency Sessions, Frame Work Sessions, group/troupe/organization rentals, to hosting workshops and retreats, we have brought over 120 creatives together from over ten states and five countries. Past Programming . . . Designed as an affordable and accessible chance to leave one's context and carve out a slice of time for creative practice across fields and disciplines. With shared and individual space for productivity, reflection and work, creatives were invited to work on their work - solo or with collaborators. 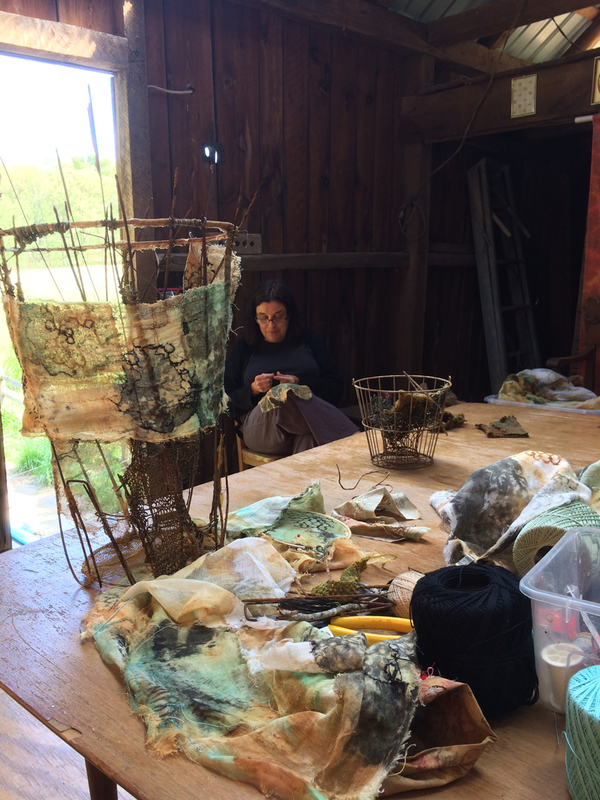 Short residencies held for up to one week at a time designed for those unable to leave their lives for long periods of time, especially giving time and space to rediscover creative practices which have fallen by the wayside. Loosely held Frame Works invited creatives across fields to incubate their work under a wide and prescient theme– such as impact, surface, black & white and democracy. Designed to support and bring a group lens to the individual's creative practice and work and to enhance the work of the individual through relating to others. Holes in the Wall Collective book-ended the residency with group dinner and conversation, culminating in an optional sharing and reflection of the work and inquiry of the week. Holes in the Wall Collective offered full cabin rentals to groups, troupes and organizations. 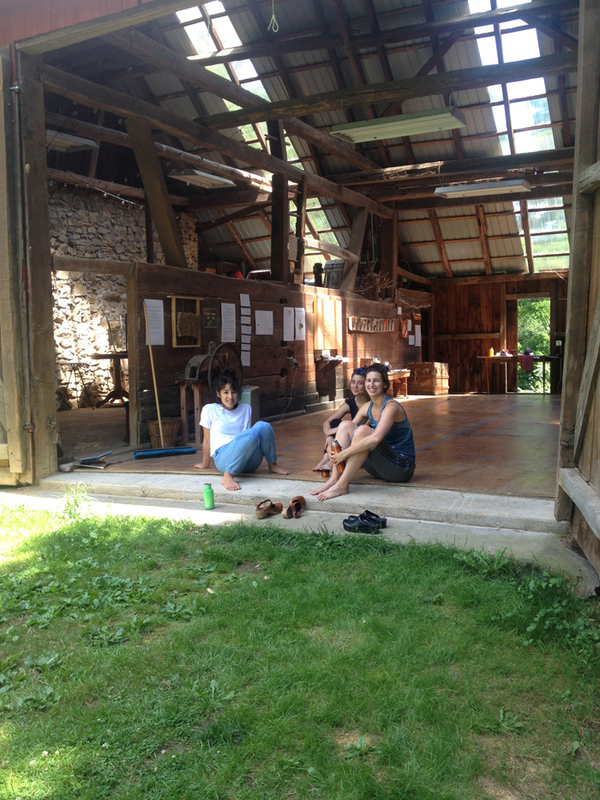 Hosting theater groups, dance groups, mine troupes and artistic collaborations– each group had unfettered access to the cabin, use of the barn for studio and meeting space. 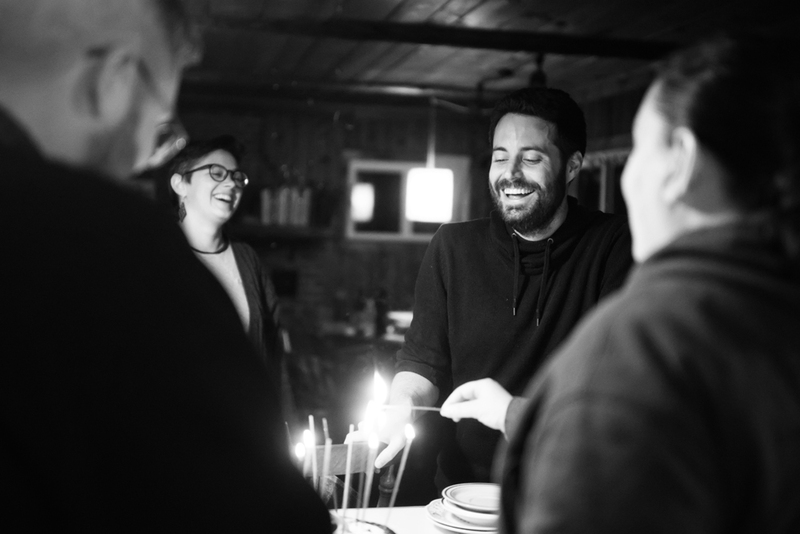 We hosted four groups as well as four artistic collaborations in New Jerusalem, PA.
Holes in the Wall Collective partnered and collaborated with author Garrard Conley, director of New Feet Productions Jessica Baumann, writer Joshua Michael Demaree and yoga teacher Elyce Semenec in the 2016/17 summer seasons. 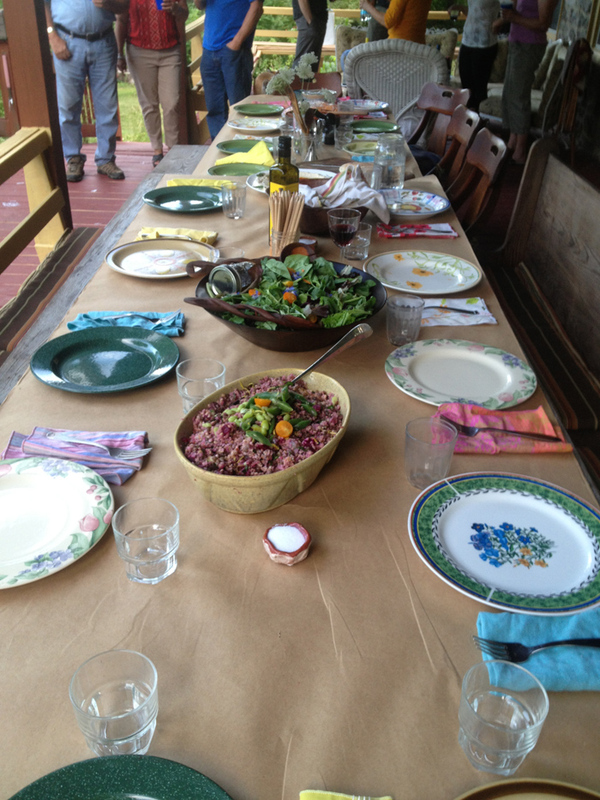 Each workshop offered participants their own room, collective workspace and teachings. 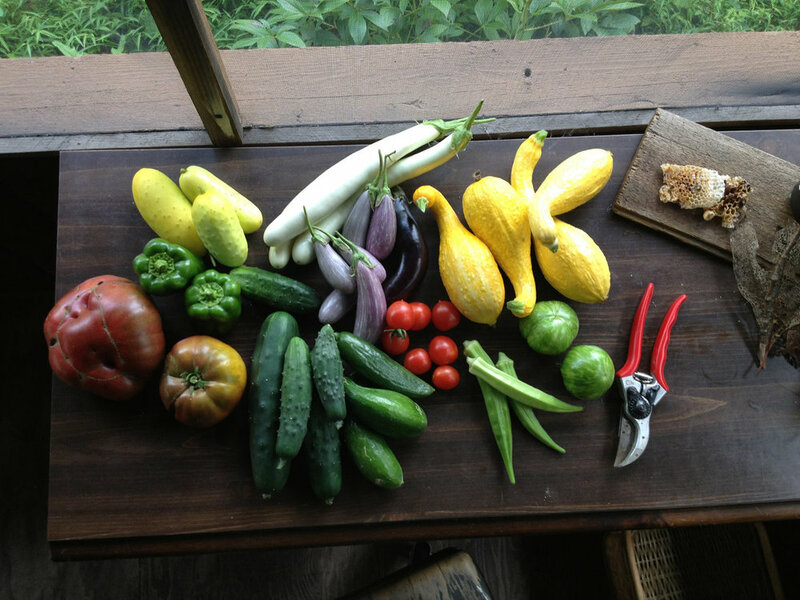 Meals were prepared by Holes in the Wall Collective with much of the produce harvested from the the HWC Tiny Farm/Big Garden. On the first of the year, 2017, HWC also offered our own incubation practice, the Drawing Room as a workshop, inviting residents to participate in a two day brainstorm/incubation/strategy session on their own work and creative practice. See a sample season . . . Check our our 2017 Residency season of programming, workshops and retreats. Also check out our CALENDAR HERE to get a sense of our last three years at the Holes in the Wall Collective Creative Residency Program. Designed to span across many mediums and designations of creativity. Holes in the Wall Collective welcomes creatives across fields and identities to be in residence for solo work and/or collaborations. Inviting change-makers from a diversity of contexts, disciplines and identities to incubate their work within a wide and prescient global theme that needs creative re-imagining. Sessions designed to pair youth (18-25) and elders (55+) whose work and creative practice has significant overlay. Designed for intergenerational knowledge sharing and dual mentorship.